Piotr Trąpczyński is assistant professor at the Department of International Competitiveness, Poznan University of Economics. He is also an MBA and Master lecturer with specialisation in international business strategy and international marketing, as well as head of the research project "The determinants of foreign direct investment performance in the internationalisation process of Polish companies", financed by the National Science Centre of Poland (for the period 2013-2015). 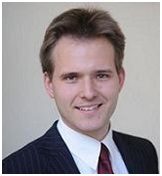 Prior to these positions, Piotr worked as Research Assistant at the Berlin Campus of ESCP Europe, where he completed a European Doctoral Programme in International Business, and lecturer in international business at the Academy of Business and Economics (VWA) in Berlin. He had also gained business experience through several positions in the IT industry, strategic management consulting and brand management in the FMCG sector. He gained his PhD degree at the Poznań University of Economics, as well as M.Sc. from the City University of London, Dipl.-Kfm and Master degrees of the ESCP Europe in Berlin and Paris. His research interests include internationalization into and from emerging and transition economies (with focus on the CEE), FDI performance, firm competitiveness, as well as mixed-method research. He is author and co-author of related publications in international books (i.a. Gabler, Palgrave Macmillan, Edgar Elgar Publishing) and journals (including European Management Journal, Journal of Economics and Management, Oeconomia Copernicana, or Poznan University of Economics Review). Apart from being a member of the Academy of International Business, he also belongs to the European International Business Academy, International Management Development Association. Piotr serves on the reviewer boards of the European Management Journal and the Journal for Global Business and Community (Florida International University) on a regular basis.